Google wants to manage your applications on AWS and Azure. Google has been working hard to build a Cloud Services Platform that allows businesses to manage hybrid clouds, spanning both on-premises data centres and the Google cloud. This feature has now officially left beta and has gotten a brand new name to go along with it. Announced in a blog post alongside the company's Google Cloud Next event this week, the new Anthos offering will also run on third-party clouds, which includes both AWS and Azure. “Anthos will also let you manage workloads running on third-party clouds like AWS and Azure, giving you the freedom to deploy, run and manage your applications on the cloud of your choice, without requiring administrators and developers to learn different environments and APIs,” Google’s SVP for technical infrastructure Urs Hölzle and engineer Eyal Manor wrote in the blog post. The bottom line is, Google is offering a single managed service, allowing its users to manage and deploy various workloads, regardless of the cloud they’re using, all while eliminating the need to worry about multiple environments or APIs. “You can use one consistent approach — one open-source based approach — across all environments,” Hölzle said at a press conference. Anthos is based on the Google Kubernetes Engine and Istio. 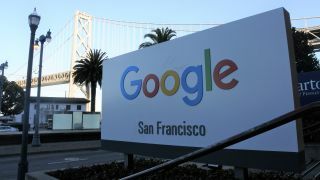 Google claims the offering is hardware agnostic, which basically mean businesses can get it up and running on whatever server they currently have lying around, without the need to buy a new server. The new offering is based on subscriptions, and it will cost you $10,000 a month, per 100 vCPU blocks, according to TechCrunch. The same source also says enterprise sources will be up for negotiation, concluding that businesses will most likely end up paying less.